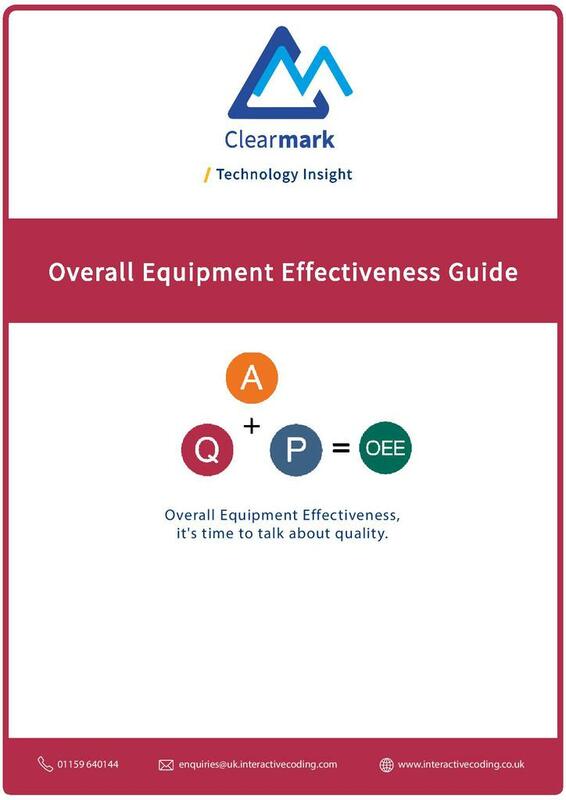 A free technical guide from coding and marking specialist Clearmark Solutions (ICE) helps to explain the importance and relevance of Overall Equipment Effectiveness (OEE) in ensuring an efficient production line and the key role coding can play in its successful implementation. OEE has become something of a ‘buzz’ phrase as manufacturers seek to maximise efficiencies and throughput throughout their processing and packing lines. However, with production line operators under increasing pressure to deliver improvements and enhancements, there is a danger that the introduction of additional systems or measurement tools can be viewed with a degree of suspicion and even considered an obstruction to the completion of daily tasks. Clearmark’s Understanding OEE and its Relevance throughout the Production Line therefore stresses the importance of explaining the many benefits that OEE can bring to individuals in every part of the operation. These can include increased throughput for production managers, greater profitability for the finance team and improved working practices for factory personnel. The free guide explains the theory behind OEE and how to measure it through the three key criteria of availability, performance and quality. It also provides guidance on ways to improve OEE by identifying reasons behind the six ‘big losses’ that cause inefficiency in manufacturing – breakdowns, set-up and adjustments, small stops, reduced speed, start-up rejects and production rejects.